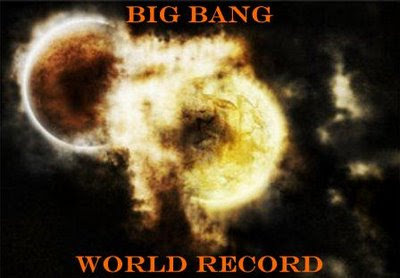 I am long overdue at posting this for all my blogging buddies and this awesome experiment called The Big Bang World Record tag. I was tagged by several people, and I apologize for taking so long to do this post. It's simple. You just copy the list, add your own list of bloggers, post it on your blog and send the list back to Mel at Monday Morning Power to be added to the master list. This meme will do wonders for boosting your Technorati score! So here goes. I honestly don't know who hasn't had their name added to the list, so if you are not on this list, I highly encourage you to participate. Welcome aboard Misty! This meme has done wonders for my technorati authority, and I can't wait to see it do the same for one of my best blogging buddies too! Wow the list got quite a bit longer. I should update mine. Just stopping by to say Hello and to see what's new in your world. Hi Misty. I took part of this one too. I hope you can do it whenever you have time to spare. Thanks!